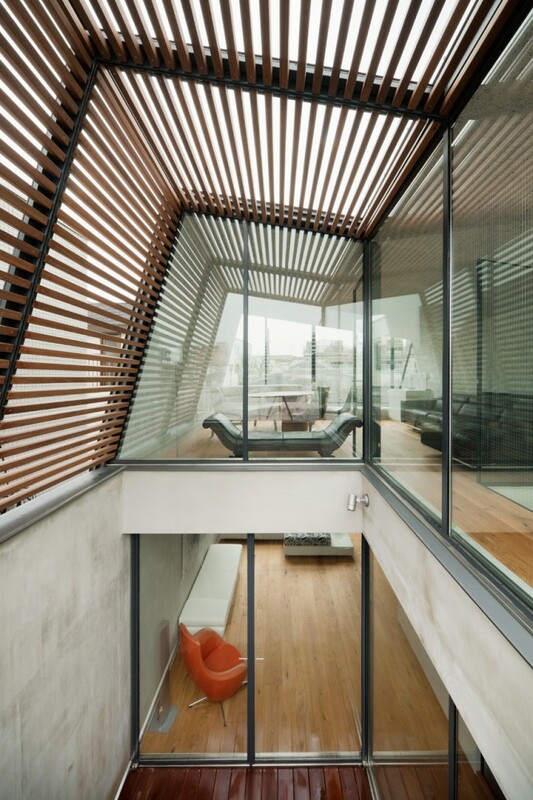 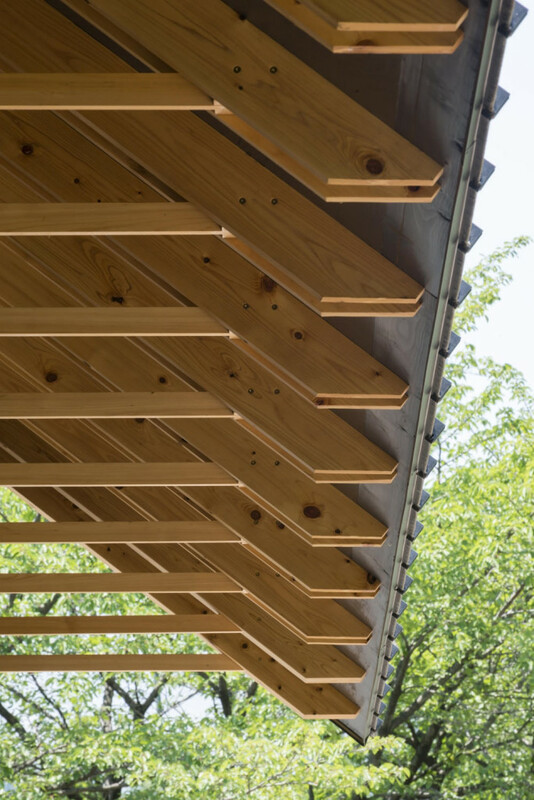 The roofs of the two sports structures incorporate a form of recursive joinery, with repeated patterns being layered up to span the vast spaces. 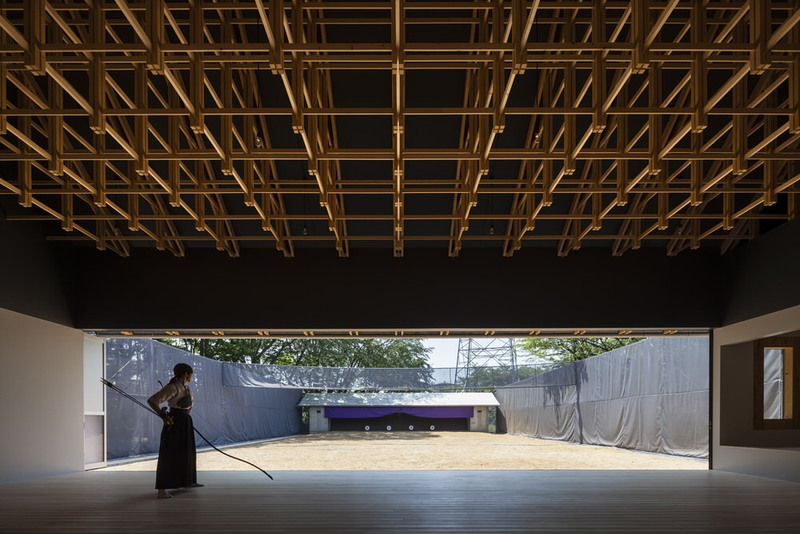 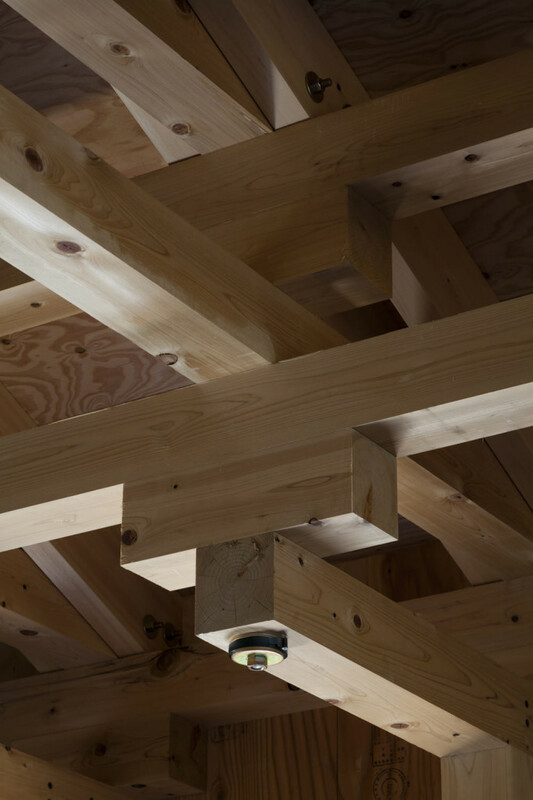 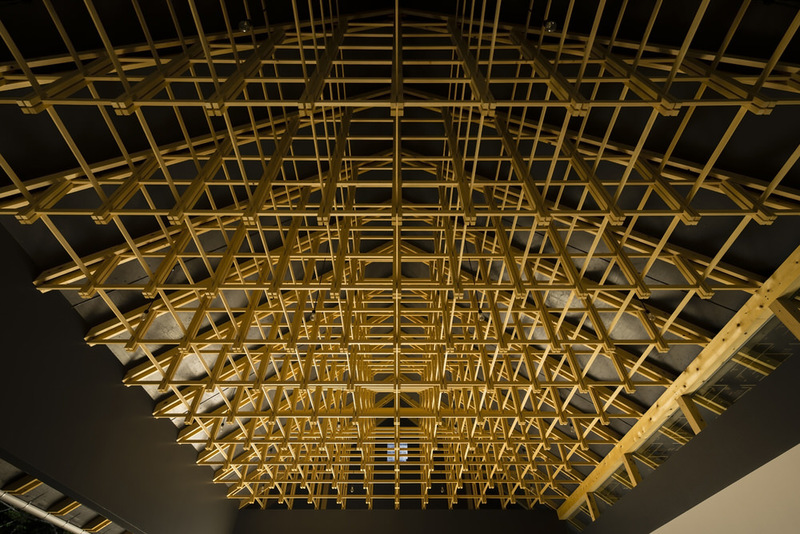 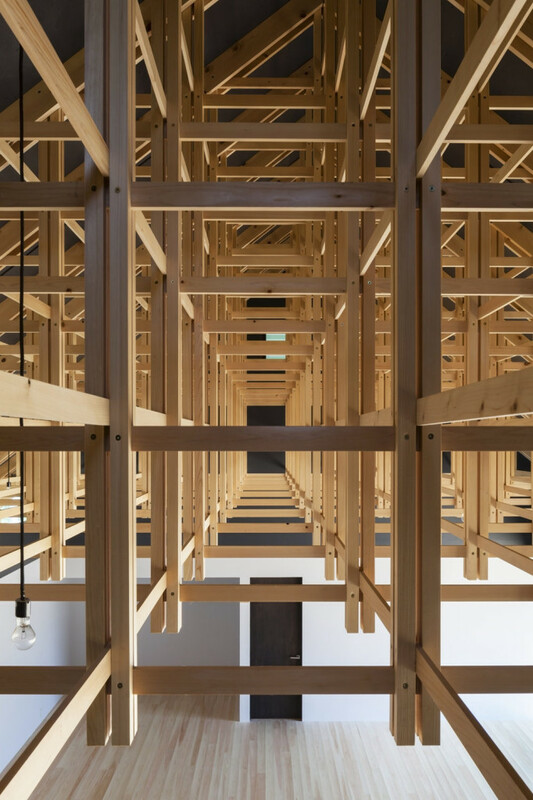 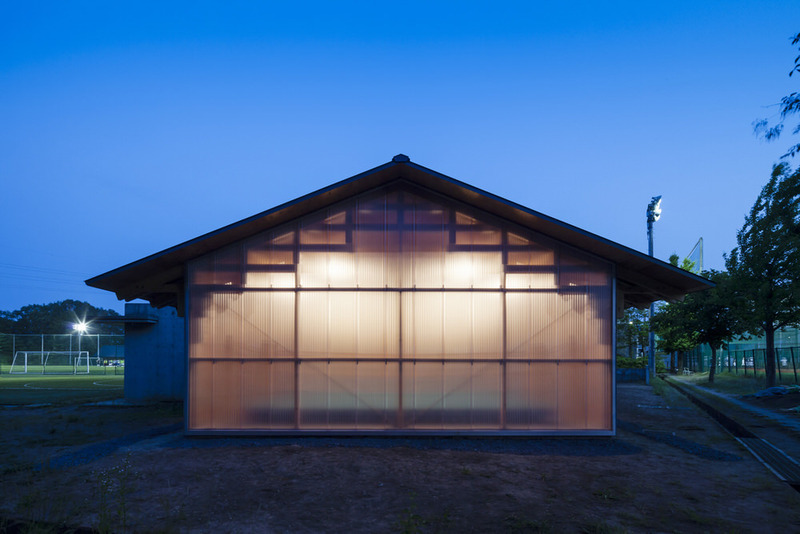 Seemingly frail timbers, when combined in a complex lattice work, provide the structural integrity required to support the roof of the kyudo archery range. 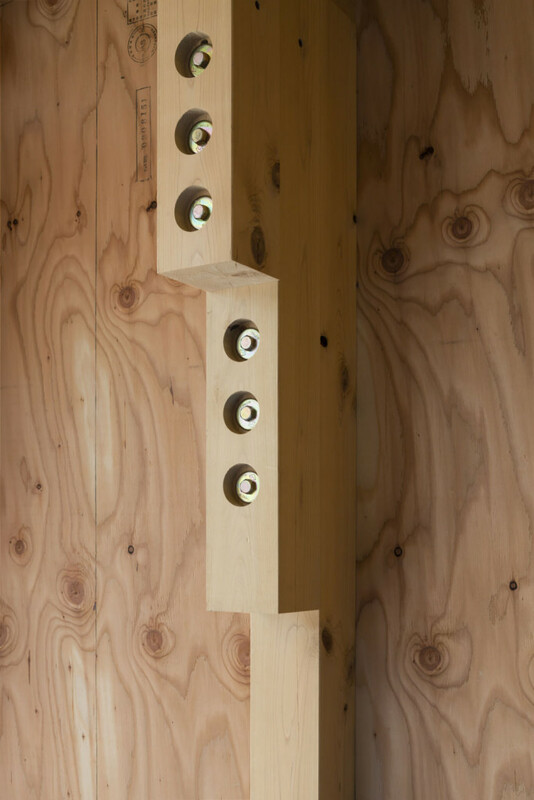 Thin perpendicular strips of wood brace the vertical ‘pillars’ (each composed of 4 parallel timbers) and slot into the resulting cross-shaped notches to resemble nocked arrows. 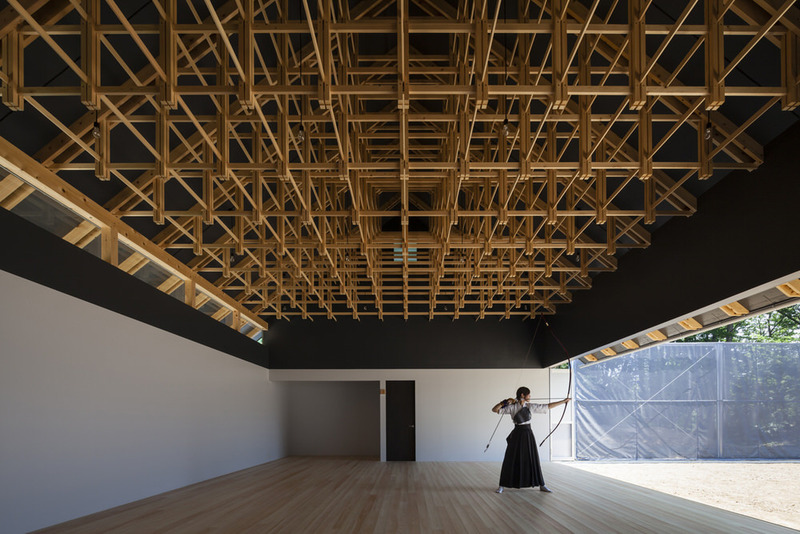 Whether this symbolism was intentional or not remains unknown to me but there is certainly an elegance in this remarkable ceiling space that reflects the traditions and rituals of kyudo archery. 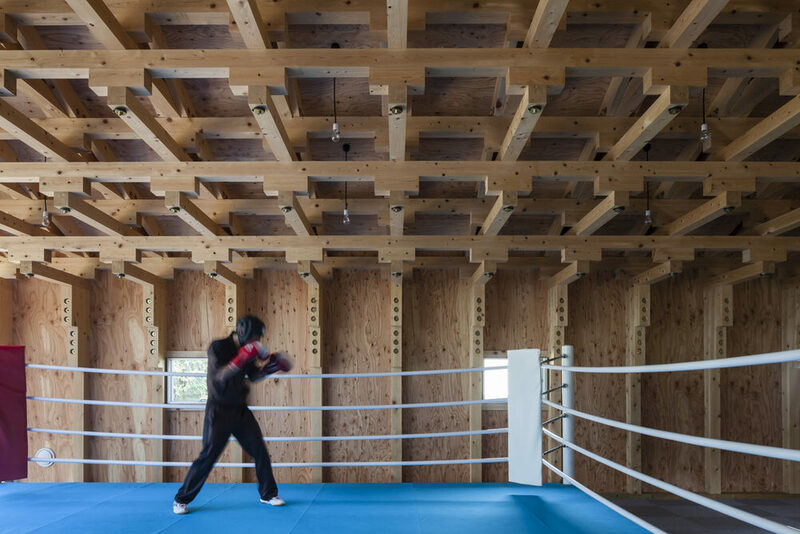 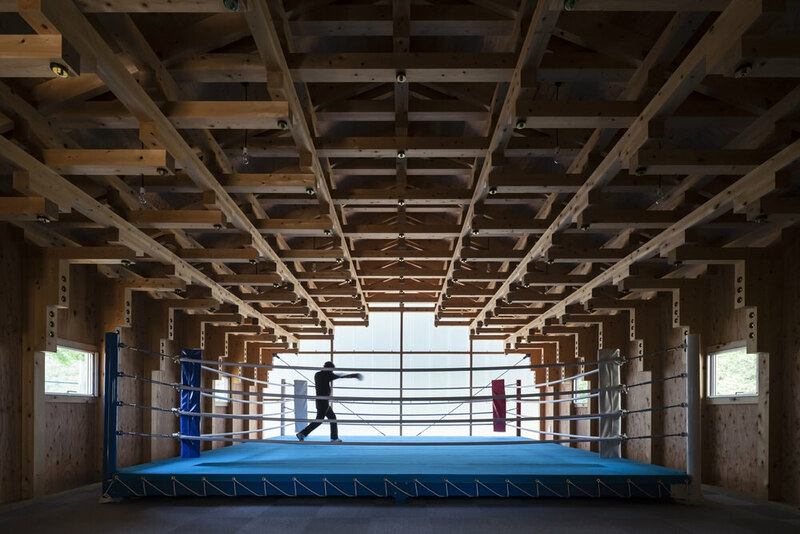 The ceiling of the boxing club on the other hand is fittingly more heavy-handed in its approach to spanning the void, opting instead for strength over lightness. 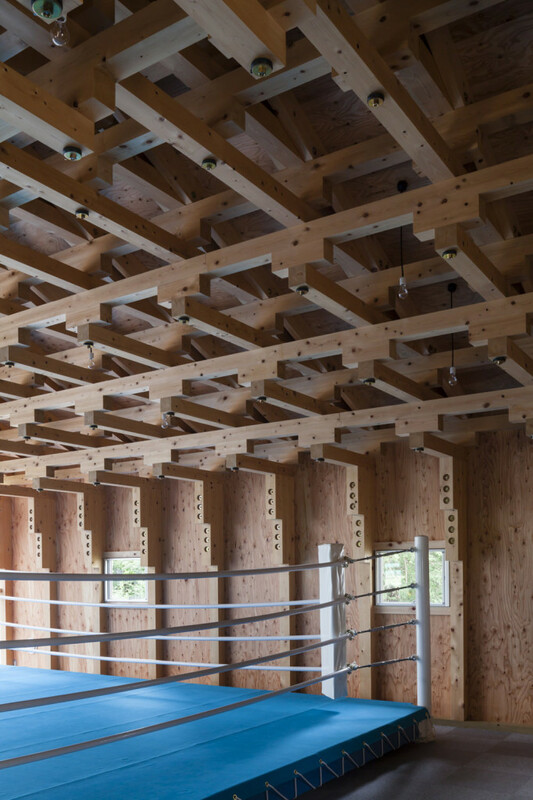 While the archery range’s roof was relatively light weight, these bulky timbers obviously all add to the weight that the roof needs to support. 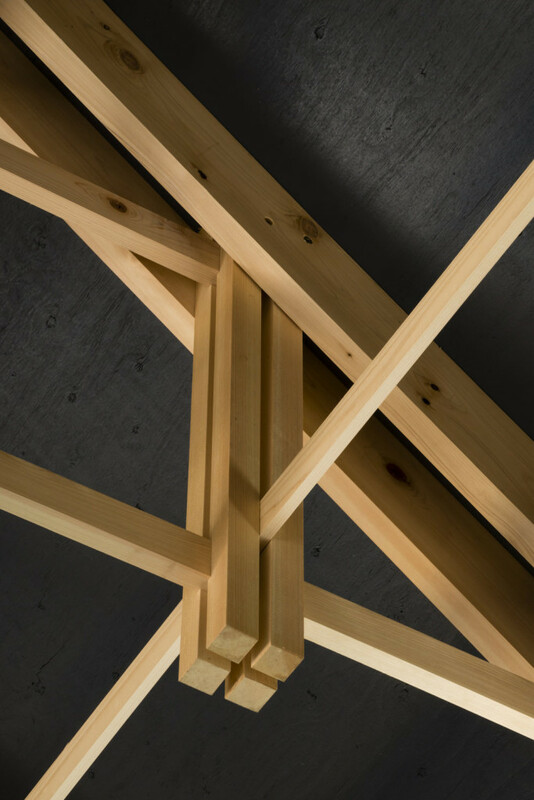 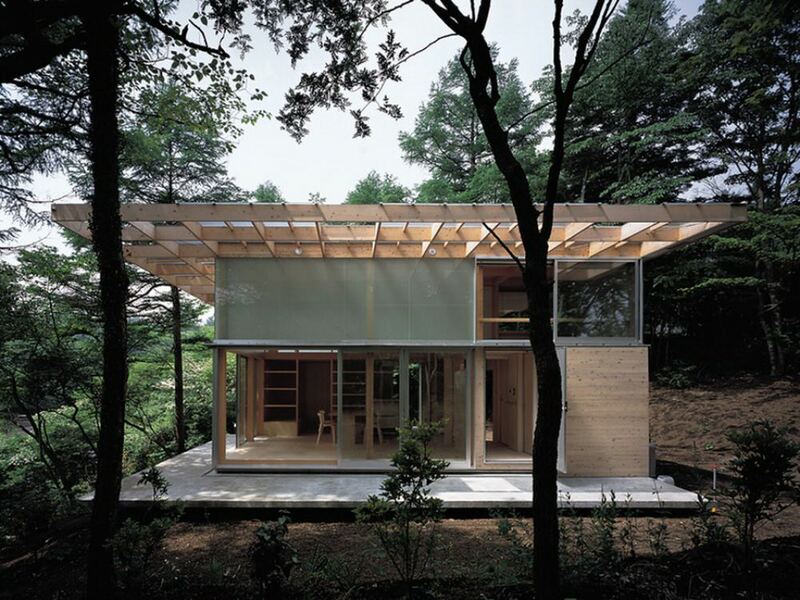 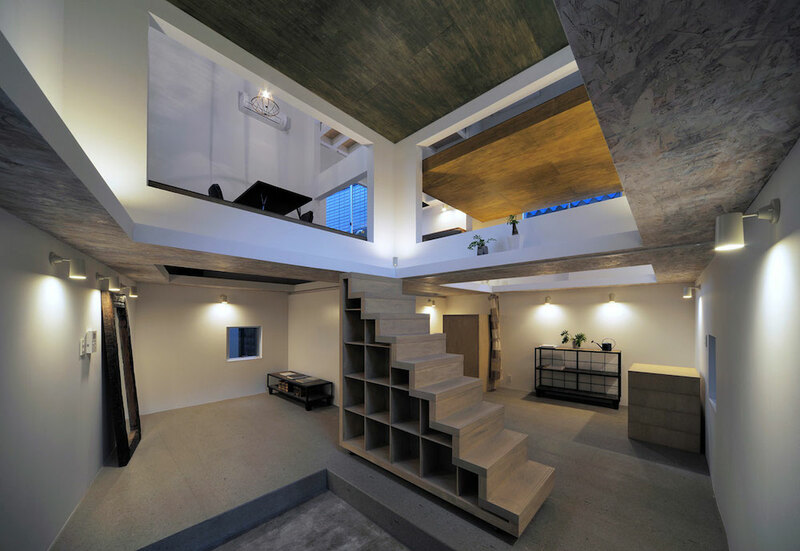 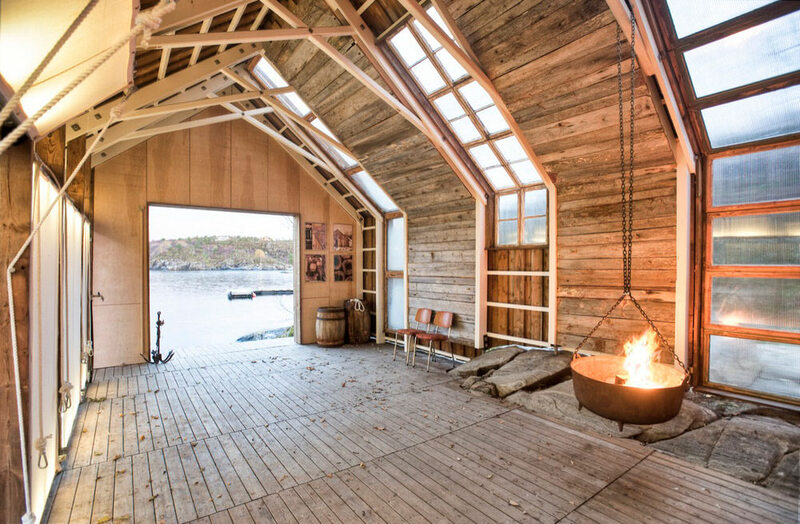 However strong bolts and sturdy foundation posts ensure that this tiered ceiling is able to stand up to its own weight. 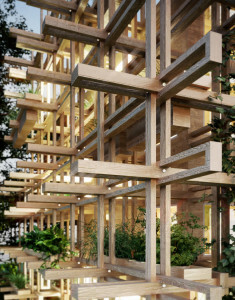 A hell of a lot of wood appears to have been used here, but according to the architects, this locally sourced timber was already classed as defective due to insect damage.